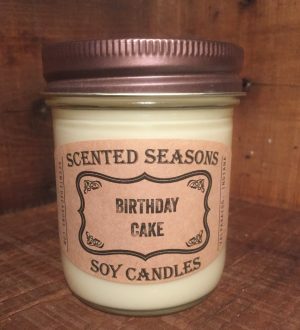 So yummy you'll need someone to pull your face away from the candle! This is a mouthwatering blend of apples, clove and warm spices. Our own house blend of fresh apple and cinnamon doughnuts! Sooooo yummy! Subtle blend of cinnamon bark & clove bud on a dry down of musk. This is not an overpowering scent. It's more warm and inviting. 16 oz. shown. 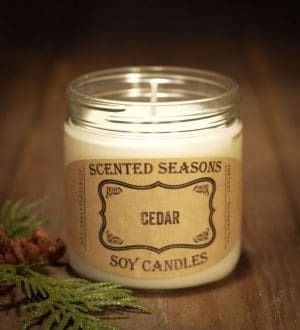 This fragrance has the uplifting aroma of majestic balsam fir mingling with a touch of cedar and other soft woody notes. 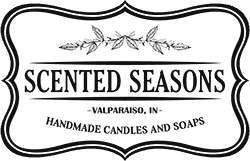 This is a staple on the Scented Seasons shelf! Fresh cedar wood get spicy accents for warm, welcoming appeal in this rustic creation. Earthy tones of patchouli and a hint of rich leather create country accents. Sandalwood is sweetened with exotic amber and soft mosses at the base of the scent, while clean musk surrounds the woody creation. I rolled out this new creation at our last market at Journeyman Distillery and it sold out! 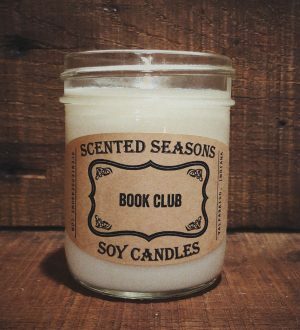 This is a crisp-scented candle. Imagine hints of wood and citrus on a summer breeze. 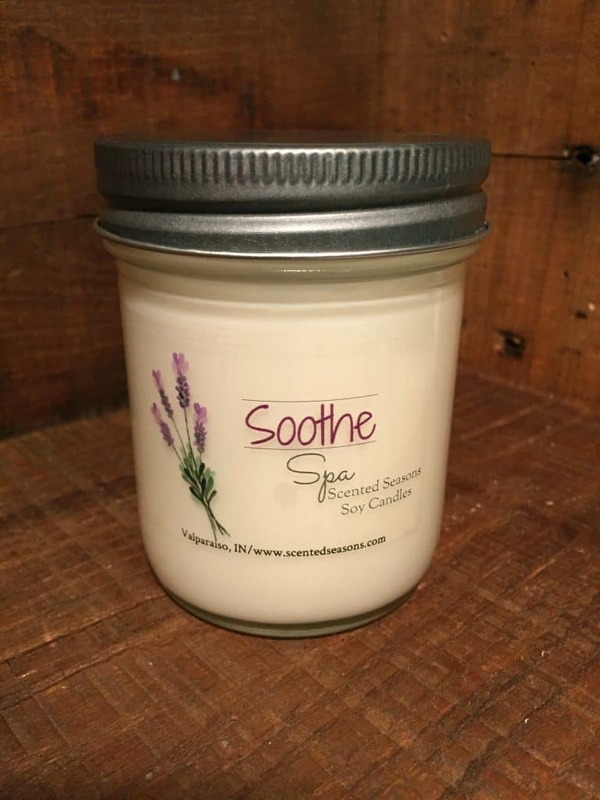 See for yourself why this candle was such a hit! Light this candle and everyone will think you're baking! 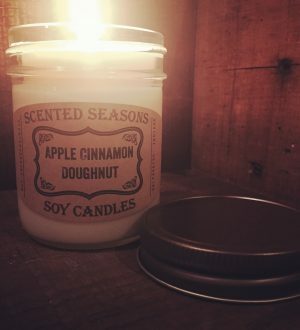 If ever there was a candle you wish you could eat, this would be it! 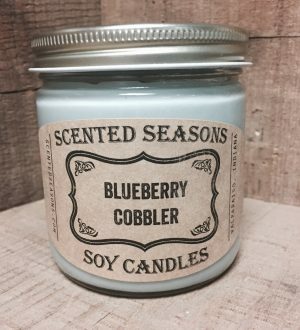 This is one sweet scented candle! Sweet blueberries wrapped up in a buttery pastry topping. This merlot-scented candle has velvety nuances of various fruit combined with a light alcoholic and spicy background. Pick that book, break out the wine and enjoy! So sweet and smooth, our 16 oz. 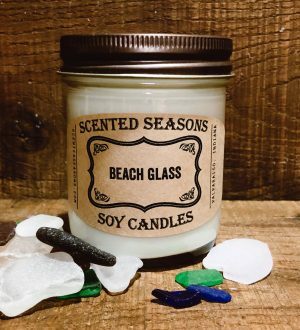 candle on sale for $12.00 (orig. $18). Over 60 hours of burn time for $12.00!! Get yours while supplies last! 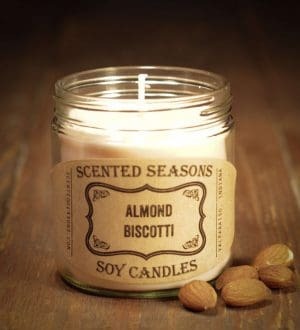 Ripe cherries and crushed almonds makes this one delicious scent! The aroma of fresh crushed cinnamon bark with base notes of baked yellow cake with creamy buttery vanilla undertones. This is a customer favorite! Fresh basil and a splash of citrus! We love burning this one in the kitchen! A buttery creamy bouquet with a rich vanilla background. A rich, nostalgic hazelnut coffee blend. 7 oz. jar gives approx. 35 hours of burn time. Helping the environment by not burning a petroleum-based candle which produces small amounts of toxins.